Established in 1994, Microgaming is a Swedish gaming company firmly established as an industry leader of online casino games. Considered to be the best brand when it comes to real money games, it’s no surprise Microgaming’s blackjack collection is second to none. Read on to find out more about this award-winning software developer, the variants of twenty-one available and the best places to play for Australian dollars. Microgaming is one of the only software developers which offers the choice for players to access games in instant play mode directly over the web browser, or by downloading premium casino software. While most players these days prefer the simplicity of browser-based play, there are some benefits to downloading the exclusive Microgaming software, the biggest being there are more game variants available in the downloadable software. For example, Royal Vegas Casino’s instant-play site offers only 28 blackjack variants, while the downloadable suite offers 44 blackjack variants – almost double the number of game options. The benefit of browser play is games are available immediately and take up no space on your hard drive or data allowance, they’re simply played over your Chrome, Firefox, Explorer or Safari browser like you were visiting any other website. Powered by Flash software, a selection of Microgaming’s instant-play blackjack games have also been optimised for mobile use, so you can play real money games of 21 on your smartphone or tablet using both iOS or Android. Downloadable casino software is usually reserved for PC owners only, so Mac users are restricted to instant-play, but given the large range of Microgaming’s browser based blackjack games this won’t be an issue. Royal Vegas is all powered exclusively by Microgaming, so you’ll find the biggest selection of Microgaming’s 21 games at these sites, while Guts and G’day offer a smaller selection along with blackjack titles by other game developers like NetEnt and BetSoft. Blackjack games at these casinos can be played for free in practice mode or for real money bets using AUD. Microgaming has the biggest collection of blackjack variants of any online game developer, with many classic titles as well as some rarer options which are usually hard to find on the Internet. A majority of the titles below also come with a Gold Series version, which is essentially the same game as the original but with some added special features and improvements. Microgaming offers one of the best live dealer software packages going around, with games hosted by friendly and professional croupiers who have the added benefit of being quite beautiful to look at. These live dealer games genuinely replicate the experience of playing in a land based casino, with a real human taking your bets and dealing cards, making this type of game perfect for players who are wary about RNG powered blackjack. 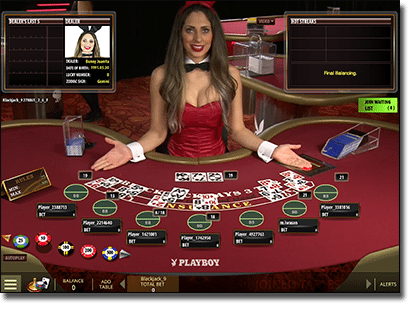 Both versions offer a bet behind option, as well as fully customisable table views. You can enjoy the full suite of Microgaming’s live dealer titles at Royal Vegas Casino, with real bets required to play. In our opinion, it’s the sheer number of blackjack variants Microgaming has available which makes this brand the clear winner when it comes to online 21. While we could argue some NetEnt blackjack games are a little sharper and visually superior, there’s no denying Microgaming slays the competition when it comes to the vast selection of blackjack games on offer. Dedicated blackjack fans will love the chance to learn new games or sharpen strategy on variants which are usually difficult to find. Play your way through Microgaming’s huge 21 catalogue at Royal Vegas Casino and sign up using our links to claim up to $1200 in bonus money to get you started.